Though long a staple of modern Chinese entertainment, television shows and movies set in the imperial past are now being targeted by communist Chinese authorities. Popular period dramas have been disappearing from TV channels, streaming sites, and cinemas in what seems to be an unannounced crackdown. In January, state media ran criticisms of historical dramas, saying they distorted history. Insiders and observers speculate that the ban has much to do with ideological concerns and conflicts within the industry. Chinese media reported that the national regulators of film and television have imposed severe restrictions on the production and distribution of historical dramas, according to people working in the entertainment business. One actor said the ban is driven by the Chinese Communist Party’s (CCP) efforts to get bigger audiences for its “red” films and shows that exhibit communist values. According to the reports, the current restrictions—which have affected shows with themes involving history, martial arts, fantasy, mythology, and court intrigue—will remain in place until the end of June. All scheduled programming must be swapped for politically approved shows, and those already distributed must be removed, according to the instructions. 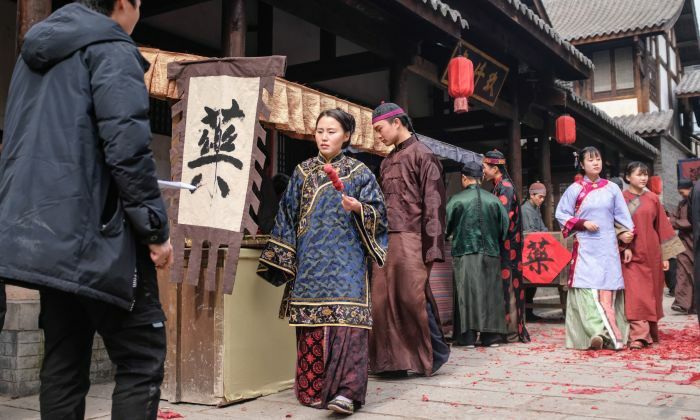 The CCP-controlled Beijing Daily published a commentary on Jan. 25 that criticized the popular drama “Story of Yanxi Palace.” Set in the Qing Dynasty during the reign of Emperor Qianlong, the 70-episode TV series depicts the life and struggles of one of Qianlong’s concubines. Another drama affected by the shift includes the 50-episode “Empress Dugu,” which first aired on Feb. 11, but is set to be removed from broadcasts and online streaming by March 25, according to the show’s producer. Other current and upcoming shows affected by the restrictions include “New Legend of Madame White Snake,” “My Poseidon,” “Novoland: Eagle Flag,” “Chenqing Order,” and dozens of other titles. The CCP authorities had begun to impose greater restrictions than those already in place in mid-2018, when film stars and industry professionals came under heavy scrutiny. On Oct. 3, Fan Bingbing, a Chinese A-list movie star, was ordered to pay about 884 million yuan ($129 million) in overdue taxes and fines. In the following month, 550 other Chinese actors were asked to settle any unpaid taxes. By Jan. 22, the authorities announced that more than 11 billion yuan ($1.62 billion) in unpaid taxes had been recovered from celebrities and entertainment companies. The current situation marks a peculiar shift from earlier attitudes. Six months ago, Beijing Daily published an editorial praising “Story of Yanxi Palace” as having “saved the beauty of Chinese-made television shows.” The original article has since been deleted, but is preserved in screenshots. Sang Pu, a Hong Kong-based current affairs commentator, told Radio Free Asia on Jan. 28 that the drama was taken off air due to uncomfortable parallels between its plot and factional struggle within the CCP regime. Deutsche Welle quoted an anonymous Chinese actor on Jan. 28 as saying that the ban on historical dramas came about as an ideological move to get more people to watch communist propaganda shows, which are otherwise uncompetitive in the entertainment market.